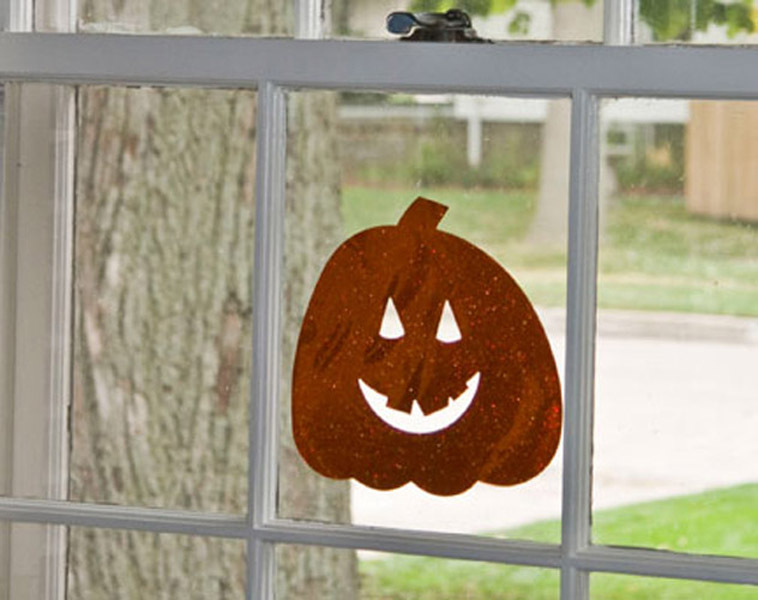 Project Description: Transform your windows with spook-tacular Halloween décor bling. Begin by removing the backing from Grafix Orange Sparkle Funky Film. 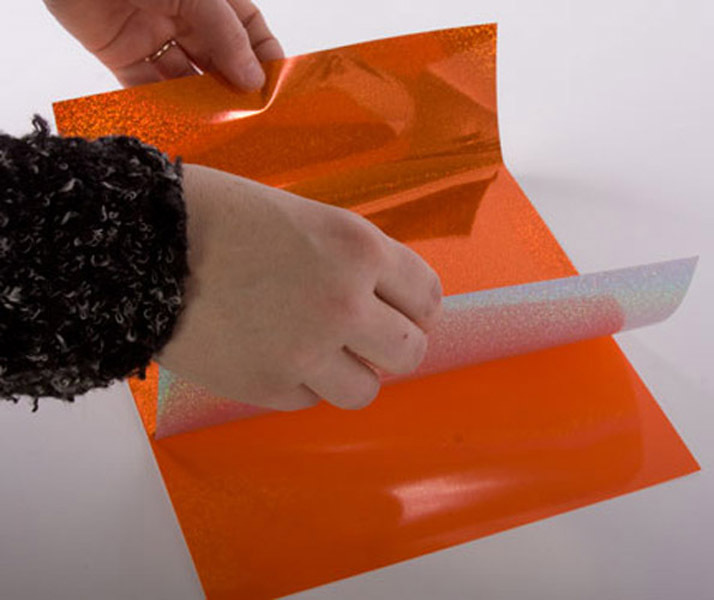 Carefully attach this glittery adhesive backed film to Grafix Orange Cling Film. Work slowly to avoid air bubbles – which can be smoothed out with a credit card. Then cut out your favorite holiday shapes using Accucut dies. Nothing like adding some bling to your Halloween! Don’t be “afraid” to layer cling shapes together or embellish with googly eyes and permanent markers. Finally have fun adding these spook-tacular (and re-usable) decorations to windows, mirrors, lockers and refrigerators. A special thank you to our friends at Accucut for sharing this great holiday craft project using Grafix and Accucut products.